The Raj Menopause Program, based on the science of Maharishi Ayurveda, provides the most comprehensive and natural approach to menopause available today, both in terms of identifying causes of negative symptoms and in providing treatment. Menopause is a natural life transition that need not have negative side effects. According to Ayurveda, the menstrual cycle not only helps maintain the reproductive system but also acts as an important internal cleansing process for the entire physiology. When menstruation stops, the body loses a valuable cleansing mechanism. It is not the loss of the menstrual period and change in levels of estrogen that cause unwanted symptoms. Rather, it is the result of imbalances that build up in the body. Once menstruation ends, impurities can accumulate in greater quantity, creating many of the negative symptoms of menopause. A cleansing of the body’s tissues can help relieve immediate symptoms of menopause. The key to preventing a future build-up of impurities is to create a healthier metabolic system—one that can easily and efficiently eliminate harmful toxins. The Raj menopause program helps to remove deep-seated impurities, improve digestion and metabolism, and restore a natural, healthy balance. Our Ayurveda experts will design a customized program for your menopause symptoms, including specialized recommendations to continue at home. Ayurvedic experts, Mark Toomey PhD and Vaidya MP Manohar, work in conjunction with Dr. Robert Schneider, MD, to create a customized program to address your menopause symptoms. By identifying the source of your menopause symptoms, using Pulse Assessment, an individualized treatment program can be created that will effect significant changes, naturally and holistically. With an emphasis on prevention, and utilizing only natural approaches, The Raj treatment program for menopause symptoms removes toxins, nourishes the brain and promotes balanced health. How is the Ayurvedic approach to menopause different? Menopause occurs when the ovaries stop producing large amounts of estrogen and progesterone, two hormones intimately involved with the menstrual cycle. Modern medicine tends to view this process as an ailment—an unhealthy state of deficiency. This is because certain diseases have been shown to be related to the lack of hormones in a woman’s body. For instance, osteoporosis, the loss of density in the bones, can occur more quickly. Also, blood levels of cholesterol and triglycerides often start increasing, so that women become more prone to heart disease. From an Ayurvedic point of view, however, the loss of estrogen merely sheds lights on underlying imbalances, which become noticeable when the added protection of estrogen is gone. If a woman’s physiology is balanced, Ayurveda suggests that she can have a comfortable menopause. According to Ayurveda, tissues are formed sequentially in seven steps, with each step relying on the previous one for proper nourishment and balance. The step responsible for fat, sugar and hormone metabolism is called “medha”. The following step is called “ashti” and is responsible for bone and metabolism. If medha is blocked by impurities, then fat, sugar and hormonal metabolism will be blocked. Women with medha out of balance will be more prone to higher cholesterol, diabetes and cardiovascular disease. And if medha is out of balance, the next step in the development of the tissues, ashti, does not receive proper nourishment. As a result, the bones become weak, as in osteoporosis. Thus many of the symptoms of menopause are interrelated through the functioning and formation of the tissues. The traditional rejuvenation and detoxification treatments of Ayurveda, Panchakarma treatments, are especially effective in balancing the transformation of the tissues. When the tissues are balanced at the onset of menopause, symptoms of imbalanced tissues, such as cardiovascular disease and osteoporosis, should not appear. Ideally Panchakarma should be taken before the onset of menopause to help ensure a graceful and easy transition. How do The Raj treatments target menopause symptoms? According to Ayurveda theory, it is not the loss of the menstrual period and change in levels of estrogen that cause unwanted symptoms. Rather, it is a variety of imbalances due to years of lifestyle choices. If a woman already has unwanted symptoms of menopause, then The Raj Ayurveda programs provides many natural methods to help reverse deep-seated imbalances. The Raj program for menopause addresses all these issues through individualized recommendations from our Ayurveda experts and through our powerful Ayurvedic detoxification and rejuvenation treatments, known as Panchakarma. The traditional therapies received during your in-residence program address the need to cleanse the body and open the channels of circulation by providing the most thorough internal cleansing programs available in Ayurveda medicine. In fact, research has shown that these treatments remove a class of toxins (fat-soluble toxins) that no other detox modality can remove. 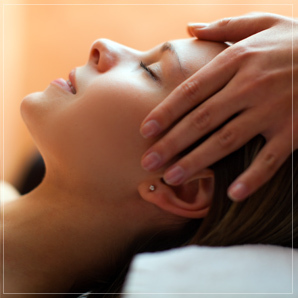 Each day of your stay, our highly trained technicians take you through a series of powerful yet luxurious cleansing therapies that take two to three hours to complete. Our Ayurveda experts will prescribe a special combination of herbalized oil massages, heat treatments and mild herbal elimination enemas (optional) tailored to your individual needs. The treatments systematically loosen impurities that have become embedded in tissues and help liquefy them through massage and the penetration of herbalized oils. The oils soften and open the channels of circulation and elimination so that proper nourishment can reach the tissues, and so that impurities can be more easily eliminated. These cleansing regimens are the foundation of our approach to preventing and treating negative symptoms of menopause. How do the doshas influence symptoms of menopause? Short-term effects of menopause include hot flashes, vaginal dryness and mood swings. To determine the cause of these symptoms, an Ayurvedic expert examines the balance of doshas in the body. Menopause marks a major transition in a woman’s life as she moves from a time of life influenced by Pitta to one influenced by Vata. Thus Vata tendencies often increase at this time. Classic signs of Vata include thinner, drying skin and mucous membranes, thinning of the hair and bones, lighter sleep and an increased tendency to worry. Ayurveda suggests that these symptoms can be largely avoided by keeping Vata in balance through diet, herbs and daily routines. Imbalanced Pitta also plays a part in menopausal symptoms. Because Pitta regulates hormonal balance, heat production and metabolism, it is this dosha that is primarily involved with hot flashes. During the years of menstruation, impurities in the body get eliminated each month with a woman’s menstrual flow. (Ayurveda recognizes the profound purification that occurs during menstruation and for this reason recommends light activity and diet during this time.) When this monthly cleansing stops, excess Pitta can begin build up. The Ayurvedic solution is to balance Pitta through diet and herbal recommendations and to remove impurities through the classic Ayurveda purification and detoxification therapies, known as Panchakarma. Reserving one day a month for home cleansing can also be helpful during this transition time. During your in-residence stay for menopause, our Ayurveda experts will use the ancient technique of Pulse Assessment to determine your individual state of balance and imbalance. Our team will then create a customized program to address the specific imbalances that are causing your unwanted symptoms. This is the value of the initial Ayurveda assessment the start of your program. I’m a long-time Raj visitor, and knew I needed to spend time at The Raj after having the most challenging year of my life. I was confident The Raj would help me feel better, and I needed that. After an extended stay, I am so happy to discover that I not only feel better, I actually feel GOOD! I had forgotten how good I could feel. Thank you! This is the place to come if you have any health problem that conventional medicine can’t help you with. True healing begins at The Raj. I’ll say no more; come heal! The treatments at The Raj are extraordinary, luxurious and relaxing. But what keeps me returning to The Raj so regularly is not the treatments themselves, but the effects. This Ayurvedic therapy is restorative to the point of being uplifting—and not just for the body, but perhaps even more importantly, for the mind.